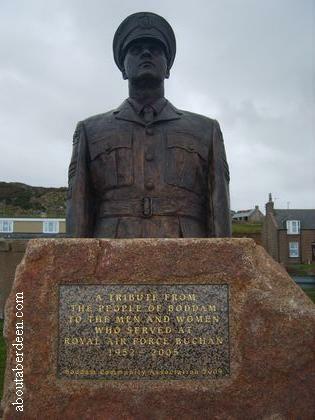 The RAF Buchan Boddam Statue was unveiled on Thursday 24 September 2009 at Jubilee Gateway. The commemorative sculpture proudly sits on Rocksley Drive at the South entrance to Boddam, just outside Peterhead in Aberdeenshire, Scotland. The bronze statue of the upper body of a Royal Air Force airman in number one dress with peaked cap is mounted on a plinth of granite and commemorates RAF Buchan over the 52 years of service. 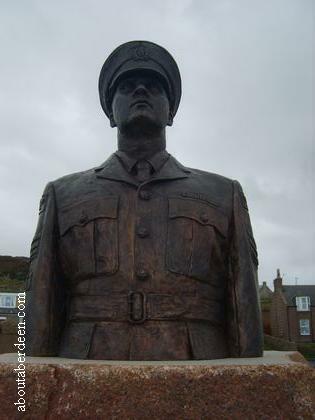 The RAF Buchan bronze statue of an airman was organised by the Boddam and District Community Association. Its chairwoman, Betty May, was present at the unveiling of the statue as was Councillor Sam Coull. Former Commanding Officer Mark Ashwell and Lord Lieutenant of Aberdeenshire Angus Farquharson led the ceremony with a piper and Royal Air Force personnel who are now stationed at nearby RAF Buchan Remote Head formed a guard of honour. During the unveiling ceremony of this stunning artwork there was a fly past by two Tornado planes from RAF Leuchers and an RAF Sea King rescue helicopter. Guests present at the unveiling of RAF Buchan sculpture were treated to a lunch at Buchan Braes Coastal Hotel. 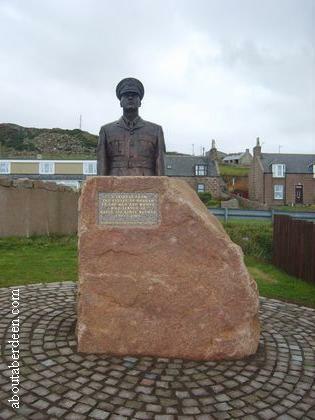 The RAF Buchan Boddam statue was made by the artist Walter Awlson of Alloa, Scotland, who attended the unveiling ceremony on the 24 September 2009. 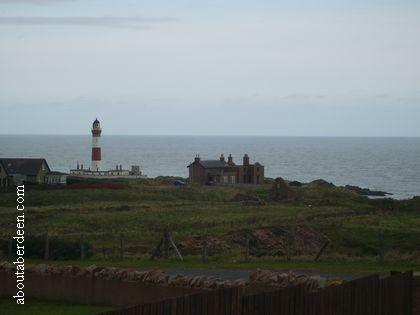 RAF Buchan was built on the site of the old Boddam railway terminus which closed in 1945. RAF Buchan opened in 1952 as an Air Defence Radar Unit and Control and Reporting Centre. Nearby housing schemes for air force personal and their families were built and the air base had facilities such as messes, chapel, nursery, gymnasium and clubs. RAF Buchan had several types of radars such as the Type 92 radar, Type 80 radar and Westinghouse TPS-34. The closure of RAF Buchan was announced in 2003 with manned operations formally ceasing on the 26 November 2004. A military connection remains on the site of RAF Buchan with the presence of the Army Cadet Force of the 2nd Battalion, The Highlanders, Royal Regiment of Scotland. The remaining buildings have been converted into a mixture of business uses. For example the officer's mess is now a Hotel and restaurant called Buchan Braes, the transport area is used by a textile company and car valet and wash service and office's are used by businesses such as a paper craft centre. The old nursery is now in use once more as a nursery. RAF Buchan is also nicknamed RAF Boddam. 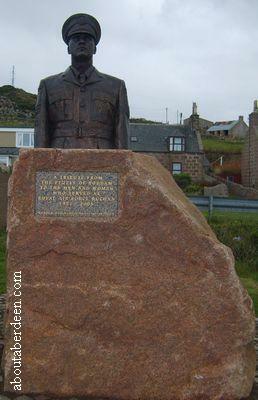 More photos of the RAF Buchan Boddam statue to follow. Cruden Bay to Boddam walk. Monuments And Statues Of Aberdeen And Aberdeenshire.